Kindred Soul Publications partnered with Talehia Presents to give back for the FIRST Annual Single Mom Holiday Help. 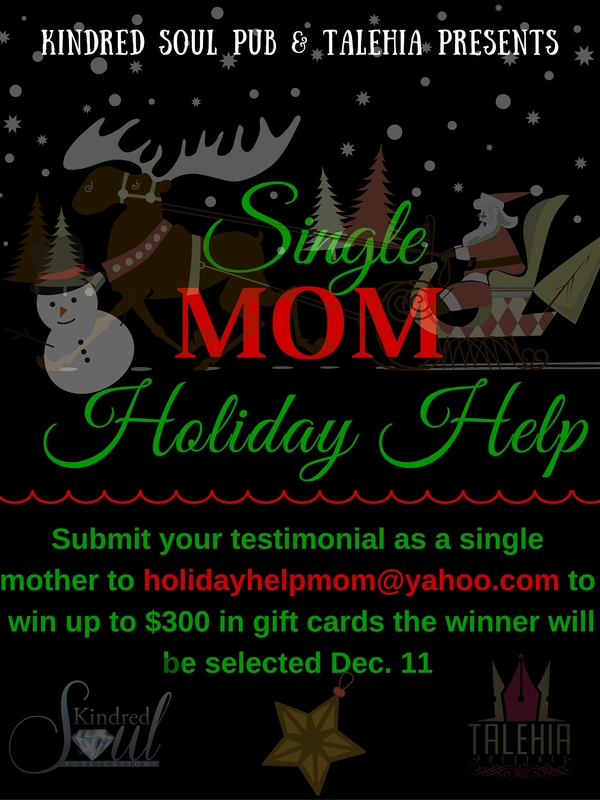 If you are in fact a single mother who needs assistance with Christmas gifts etc for your little ones submit your testimonial to holidayhelpmom@yahoo.com by December 11 to win up to $300 in gift cards. It’s a blessing to be a blessing so share this message to help a family this holiday! Thanks and good luck!